Imagine it’s lovely weather and you are walking in a beautiful surrounding. Walking with an intention, because you are geocaching and searching for caches. Picture you are at waypoint 3 of a multi cache and you’re asked to go to waypoint 4, which is 300 meter from this waypoint and 700 meter from the previous waypoint. Now what? Go home? Imagine you have a skilful toolkit with you to find your way. Imagine you have iGCT PRO, because you want to be ready for all these kind of challenges. iGCT PRO is a tool for the worldwide game of hiding and seeking treasures: geocaching. This tool is based on the toolkit iGCT, but extended with several features. 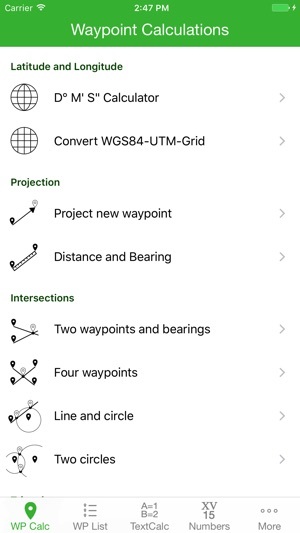 Features such as a list of waypoints, in-app map displays, compex line/circle combinations and more encoding/decoding. Buy it now for a fixed low price (no in-app purchase necessary), since you never know if you have internet access the moment you need it most! 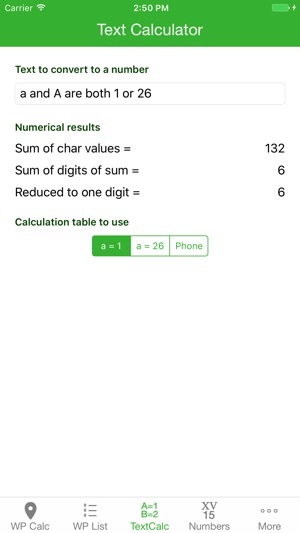 - Calculate the sum of the character values in one or more words, the sum of all digits in this sum and finally sum the digits once more to typically arrive at one digit. - Choose between a=1, b=2 etc., the inverse a=26, b=25 etc. or the phone numbering abc=2, def=3 etc. Fixed: ä = 27, ö = 28, ü = 29, ß = 30. Tried the 'intro' version and was less than impressed. 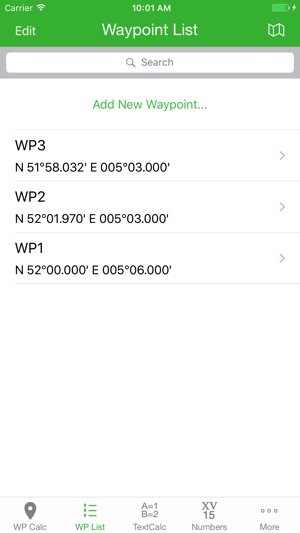 But eventually I needed to be able to enter long/lat and get a map to the location, so after about a year of ignoring the intro (and always meaning to delete it off my phone) I took a look at the the Pro version. It's definitely worth the $. 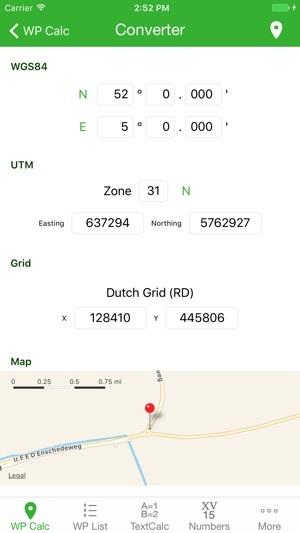 I especially like the calculations page; very cool for orienteering or plotting for searches (geocaching, etc). It's not perfect, but it works. 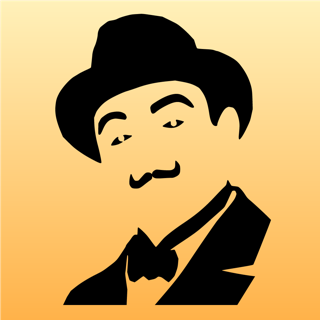 This is an okay app, but doesn't touch the functionality of the Droid GCC app. 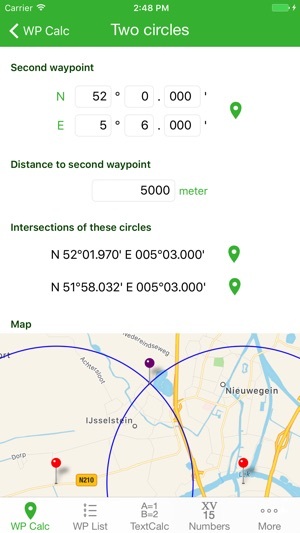 The waypoint projection function could use some work, such as allowing multiple decimal points and calculating triangulation of three known points with known angles and distances. I hope to see continued support and features.